Recommendations are best adverts that we know of so please view who we trust. Our Personal Recommendations to you. We work along side a lot of local companies who offer different services for functions, and we would only give recommendations those who we would trust if the function was our own, and meet the high standards that we expect and offer. If there is a service that we haven’t included in our recommendations, don’t go elsewhere, just drop us a line as we will know someone who exceeds the expectations in their service. 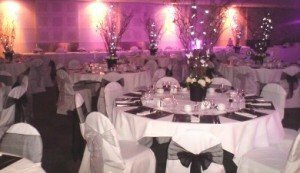 Tyne Events is a family run business and they provide nationwide chair covers and local high quality events management for weddings and any other special occasion covering the North East. They pride themselves on the personal touch as the know how important a special day is their clients. They feel one to one time with a client is essential to ensure the venue is exactly as planned for the big day. 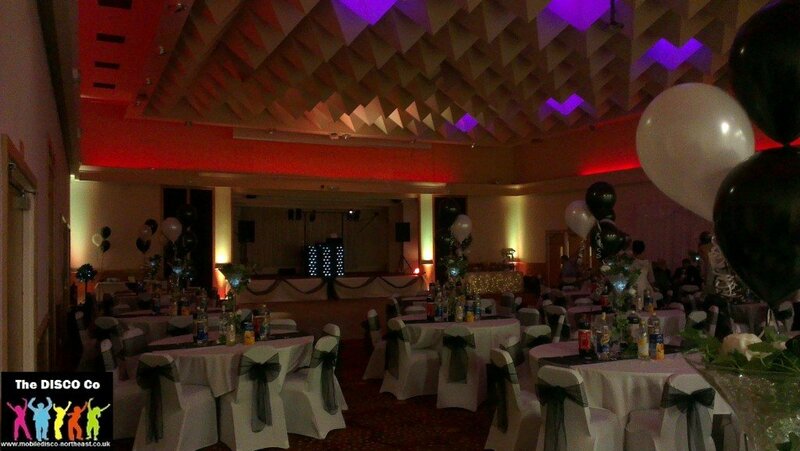 They can completely transform any venue to give it the ‘wow’ factor within anyone’s budget. Tyne Events provide everything required from chair covers to backdrops and take pride in the very high quality of their products. Within steps of entering a function room, we always know when Tyne Events have worked their magic, with a breath taking eye for detail. We regularly work along side the Tyne Events team, so please let me know if you have booked them so we can let them know know if your having an LED Dance Floor, or Start Cloth, as we want your room to look amazing. 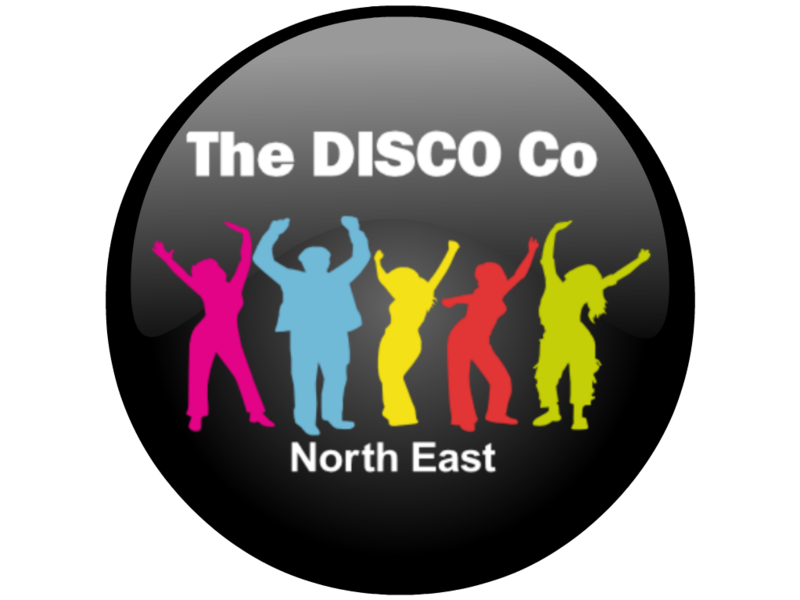 At The DISCO Co we love to work alongside other fun people and we can’t think of anyone more fun than Dizzy Parties. Nikki and Ellie have been running this Children’s Entertainment buisness for 4 years now. Every year they get better and better adding new acts and services to our business. Their newest items include our Fantastic Glitter Tattoos and Finding Nemo bouncy castle. DRA Electricals specialise in Portable Appliance Testing – we only do PAT Testing thus are experts in this field; not only that but Richard Ayre (owner/director) is recognised within the industry as a leading figure in PAT Testing businesses. We are based near Newcastle Upon Tyne in the North East and cover the region and the United Kingdom with our PAT Testing service. DRA Electricals is a small PAT testing business, and it’s Richard you will deal with when you phone or email us, and it’s more than likely it’ll be Richard who visits your site and conducts your portable appliance testing. Richard is recognised as a PAT Testing expert. You can contact Richard here as we are confident that they can’t be beaten on service. Zumba Party North East provides fully qualified, experienced Zumba and Zumbatomic instructors for your party, whatever the occassion. We provide the music, the prizes, the party! Zumba Party North East is an independent business set up in North Tyneside by Donna Ayre, to provide fun and quirky Zumba sessions for party goes who want to experience Zumba without having to attend a Zumba class. Zumba Parties are about having fun, enjoying yourself and doing a little bit of exercise too. How often do you go to a Party (or organise one), with a Disco and no-one gets up to dance? The great thing with a Zumba Party is almost everyone will be able to join in. Routines are choreographed and instructors will teach you the dance, done at your own pace at your venue. We’re not going to take over, you’re still in control, think of us as the entertainment like a DJ or magician; you organise the party (or event), be it a birthday, hen party, wedding night or just a group of friends wanting to do something different. You organise the venue, tell us where and when and we’ll be there. We come with props, music and a fully Qualified ZIN instructor.